In 2002, Salt Lake City became the largest city, at that time, to host the winter Olympics. To this day the 2002 winter Olympics have been considered one of the most successful Olympics of all time. Originally the 2002 bid was met with lots of criticism from the residents of the state. However, in the aftermath, the success of the Olympics and popular use of the facilities have won many residents over. This year in the 2018 legislative assembly, the Utah State Legislature voted to send a delegation to South Korea to make their intention known to the Olympic Committee. Recent polls show an 89% support among Utah residents for another Olympic bid. At an estimated price tag of only 1.5 billion, compared to 51 billion spent in Sochi, it’s hard to argue that it wouldn’t be a good move. The last time Salt Lake hosted the Olympics, it brought 6 billion dollars in revenue to the state. When Salt Lake City was given the bid in the 90’s it was soon mired in corruption scandals. News of perks and payments to members of the Olympic Committee rocked the Salt Lake community. Members of the local Olympic board stepped down and Mitt Romney came in to save the day. The big question for the next Olympic bid would be whether Salt Lake would bid for 2026 or 2030. Reports from February suggested that the USOC would not support an 2026 Olympic bid. 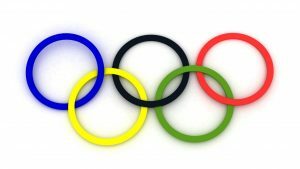 However, an article in the Deseret News explains that the Olympic committee may choose to award both the 2026 and 2030 at the same time. If the Olympic Committee chooses this option, Salt Lake would have to put in a bid that would make them available for both dates. Other US cities that are putting in bids are Reno/Tahoe and Denver. Salt Lake City should be the frontrunner over Reno and Denver. Denver is a bigger city with more accommodations, but it is also 3 hours to the nearest ski resort. Reno/Tahoe is a more convenient option and does have significant support facilities and infrastructure. However, it has been 5 decades since Lake Tahoe hosted the Olympics, and all new event facilities will need to be built. Salt Lake City’s major advantage is the presence of the LDS church. The LDS church boasts a large population of people that speak a second language. The venues are much closer to the heart of the city. The Salt Lake International Airport is currently undergoing a 2 billion dollar renovation, which should make it one of the most modern and efficient airports in North America. The Olympic Committee is supposed to pick the US finalist in fall of 2019. Until then we just have to wait. This time the majority of the residents are in favor, and there are fewer Naysayers.